Pleasanton Tutoring Inc is a private tutoring company in Pleasanton, California. They are the top-rated tutoring company for the area and have won numerous awards for the quality of their tutoring and customer service. Budget: The client’s development team is small, so they need a solution that will give maximum business impact for as few development resources as possible. They need a practical and efficient design solution. 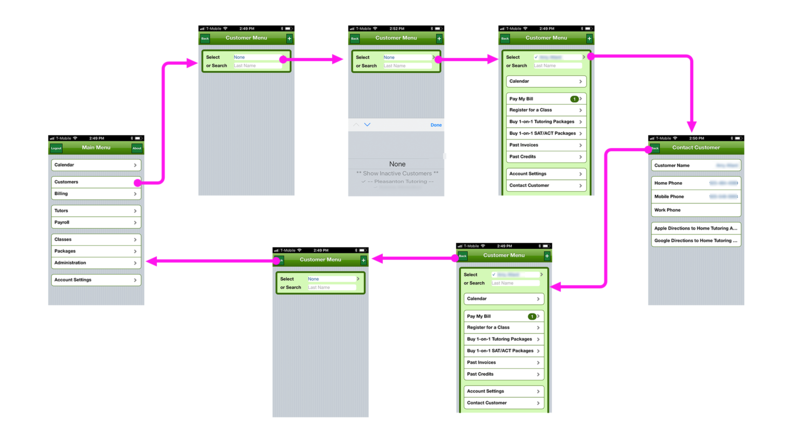 This meant that the final design must conform to the standard Ionic UI components as closely as possible. Clients are paying for the tutoring and are usually the students parent or guardian. Tutors work for Pleasanton Tutoring as independent contractors and mostly manage their own schedules. Employees work directly to manage the other two user groups by placing clients with the best tutor for their student’s needs. The current app uses three permissions-based versions to accommodate all groups, with each version having varying levels of functionality. Clients want to improve their student’s understanding and test scores by getting the best possible tutor for their student. They need to the view and modify their schedule, pay their bill and purchase additional tutoring packages or classes when needed. Tutors want to integrate tutoring into their lives as seamlessly as possible. Most tutors are full-time students or have other jobs outside of tutoring. They need to manage their schedule, approve new clients and track their student’s progress. Employees want to match clients with the best possible tutor for their student. They need to be able to quickly look up client and tutor information, match clients to tutors, manage accounts, link tutors to clients, add new clients and modify schedules when necessary. The primary user group — the employees — is actually the smallest. However, the employees use the app to actually manage the business and use it for hours each day. My research focused on the primary employee and her daily use of the app because I believed it could have the most impact on all user groups. 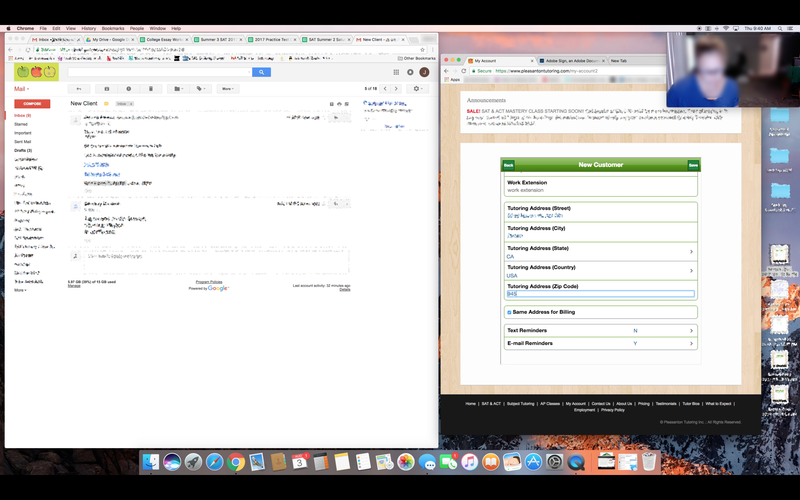 I began with observing how the primary employee uses the app with in-person observation while recording screencasts as she worked through her typical day. Afterwards I conducted multiple follow-up interviews to understand the way that clients discover Pleasanton Tutoring, how they become clients and how the business works. It became clear very early in my research that one of the most time consuming tasks was the current method of signing up new clients so I created a of the current onboarding process. From the design problems I discovered in my research I chose three that could be resolved within the development team’s time and budget constraints while having the greatest impact on improving the user experience for their clients. The employee currently signs up each client over the phone and uses the app to enter client account information. Why is the employee entering the clients information at all? My discussion with the client then moved into a branding discussion on how to integrate this change with their current premium, high-touch service and justifying the decision to move towards client-completed onboarding. "If we have clients sign up for themselves, when will we learn what their student really needs?" "Our clients are very busy professionals, many of them may not want to sign up themselves." This is the most obvious shortcoming of the current app. There is no Home button so every screen has to ‘backed out of’ to return to the home screen. Also, when you get to the home screen the BACK button you’ve been tapping turns into LOGOUT. Currently clients just get access to the app and then learn how to use it themselves. The app is very basic, however the navigation convention is so outdated that many users may find it confusing to use. A simple app introduction and tutorial slide would be important for new clients but especially for existing clients that are accustomed to the old system. 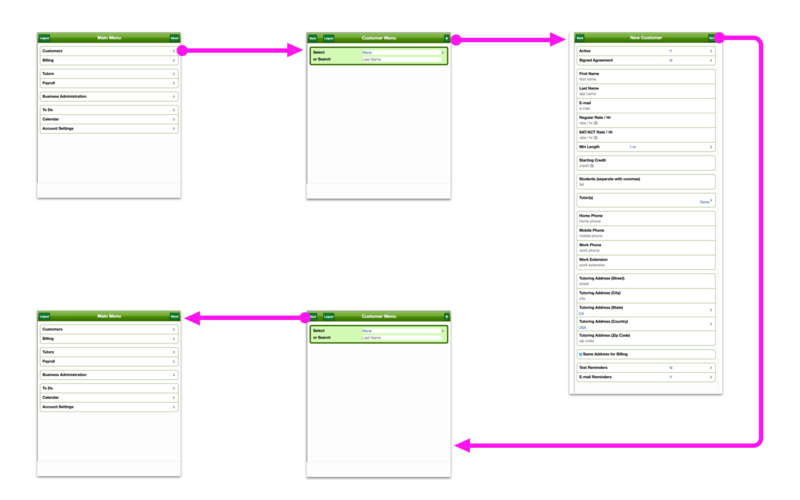 Moving to client-completed account creation required dividing the current single page mega-form intended for use by an employee to a multi-page form with a clear sense of completion for each section. This form was was based on the employee’s phone sign up process and allows for the automatic collection of some sales funnel information. From these wireframes I created a mockup in Sketch and an InVision prototype to test the flow from Splash screen to Home screen. 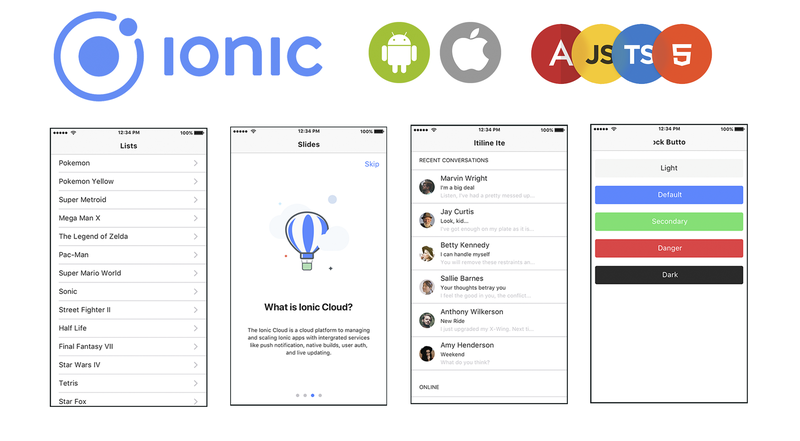 Ionic uses UI components to build apps quickly. Before starting wireframes I familiarized myself with the Ionic component library to be sure my design would be practical for the developers to implement. These tutorial slides help provide much of the boilerplate information that was previously provided by the employees over the phone and sets expectations for the service. The placeholder images would be simple graphics illustrating the relationship between clients, tutors, and Pleasanton Tutoring. 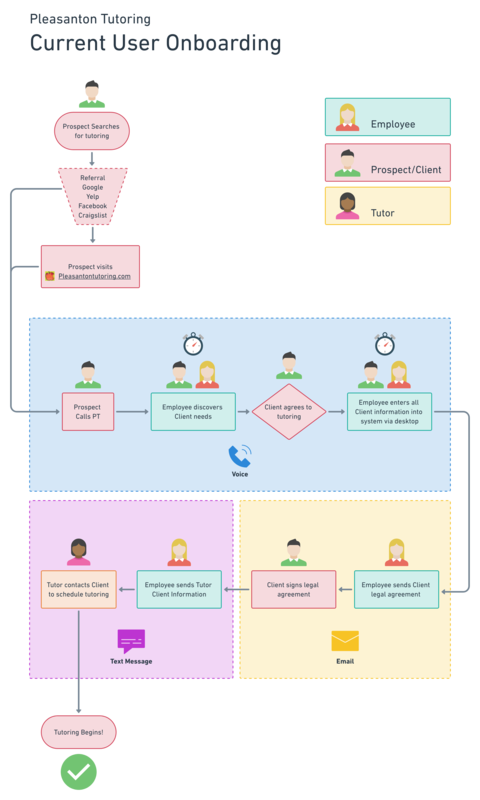 In order to test the viability of client-completed onboarding the developer implemented the process using the current app framework with a link on Pleasanton Tutoring’s website. This has allowed prospects to journey from search to sign up. Even in early testing, this process has already reduced client call time by over 30%. This has allowed both clients and employees to focus on their shared goal of getting the best possible tutor for students and less time managing account information and correcting communication errors.